Up-and-coming house producer Chris James discovered just how powerful social media can be this past weekend when his skills — and Twitter account — landed him a vocal spot on the hugely-popular electronica artist deadmau5′ (pronounced “dead mouse”) new track. Instead of working behind closed doors, deadmau5 streamed the entire process live. Fans were able to get a rare behind-the-scenes look as he sampled audio tracks. At one point, he mentioned that he needed to figure out what to do for the vocal track. James, who had been watching the stream, came up with lyrics and began laying his tracks on top of deadmau5′ work. Once finished, he exported the track and sent it to deadmau5 on Twitter. After watching the response from fans, deadmau5 listened to the track and within hours he had James and his manager on the phone — while still live on the stream. 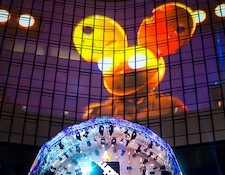 A 90 percent complete track — called The Veldt — has been released by deadmau5 featuring vocals from James. Whether you’re a fan or not, watching this unfold is pretty amazing. Social media, in particular Twitter, can be extremely powerful for any type of business. Depending on your audience, it’s important to not just establish a presence, but to maintain it and be active on the social network. Snippets of the live stream and the almost-finished track are available on YouTube — we have to warn you that there’s a fair amount of profanity.